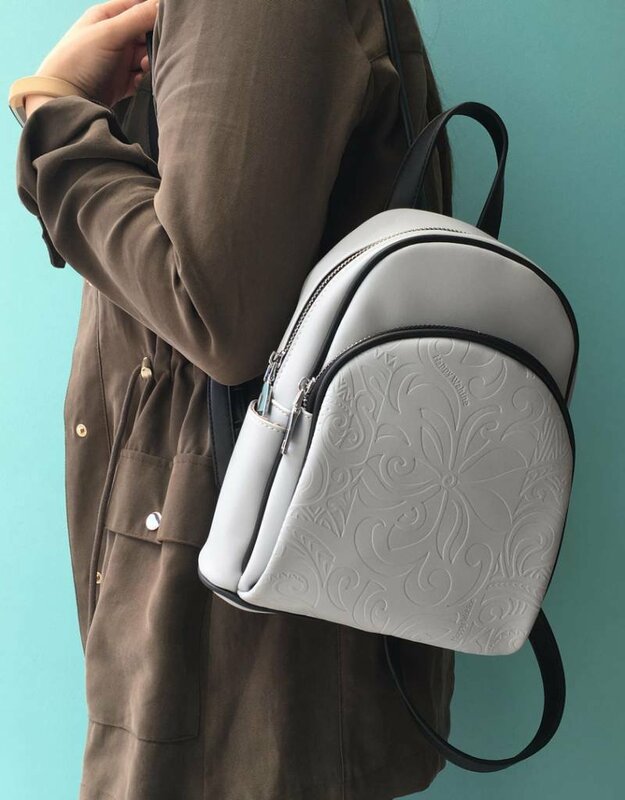 Be the most stylish wahine with your Lucy backpack. 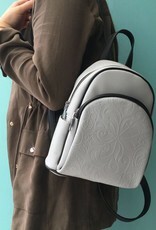 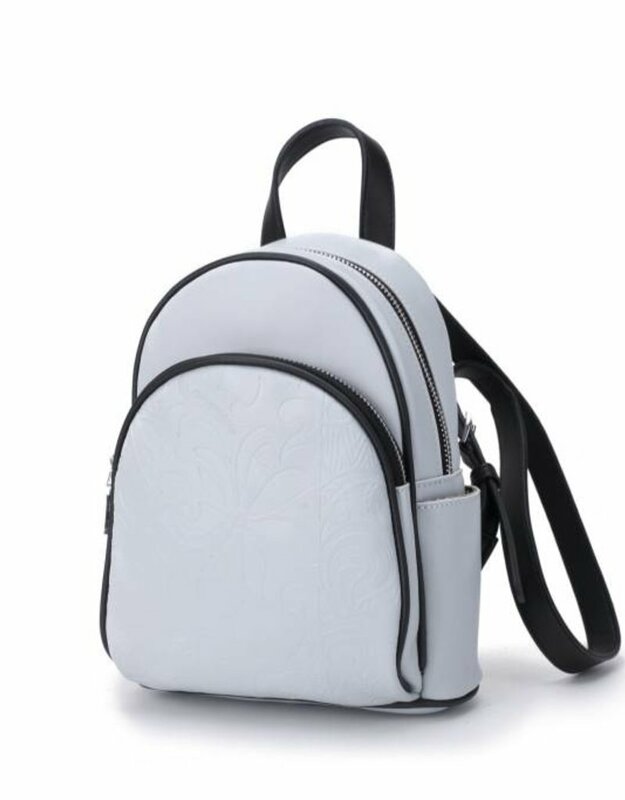 Made of vegan leather this backpack is small in size but big on style. 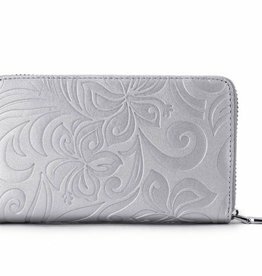 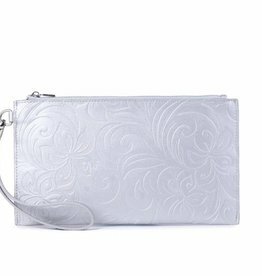 Featuring our Happy Wahine embossed prints stash your smaller goodies in the silver zippered pocket on the front and secure your larger items in the main compartment. 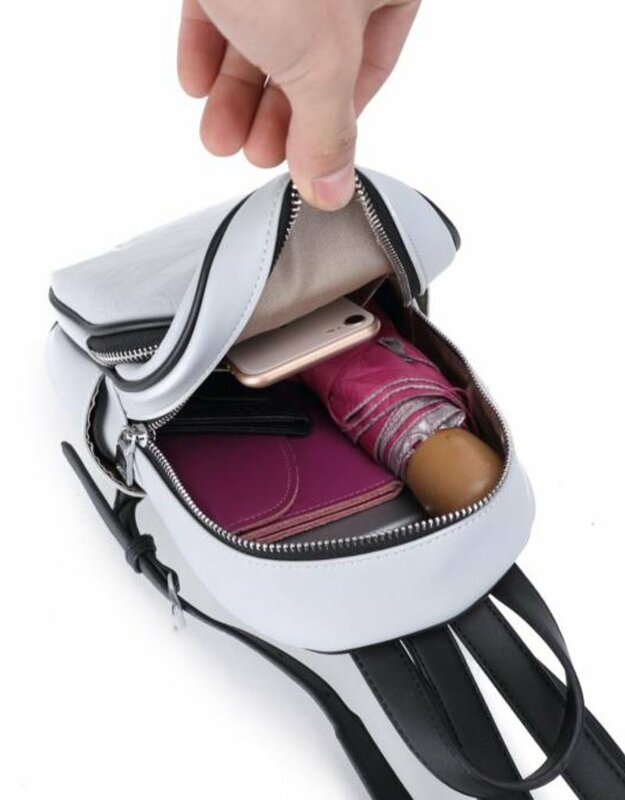 Also featuring a side zip wall pocket.